Children at Cliftonville Primary School celebrated the end of term today (October 19) with a special harvest assembly at Holy Trinity Church. The pupils walked to the church loaded with bags of food that they had brought in for Thanet Food Link. This food will be collected next week and distributed to families in Margate. 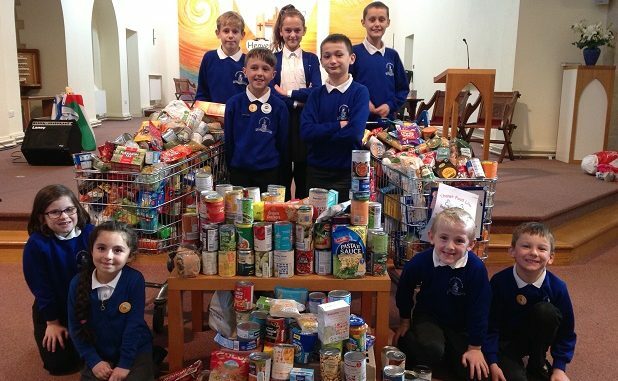 Assistant head teacher Heather Weitzel said: “The generosity of our families is evident from the colourful piles of tins and packets that filled the trolleys at the front of the church. Our children were certainly living out the value of sharing with the food that was donated. As ever, what a generous school community. Cliftonville’s parents come up trumps. Very proud that my daughter goes to this great school.